If there’s one tool that can do almost anything this is it. 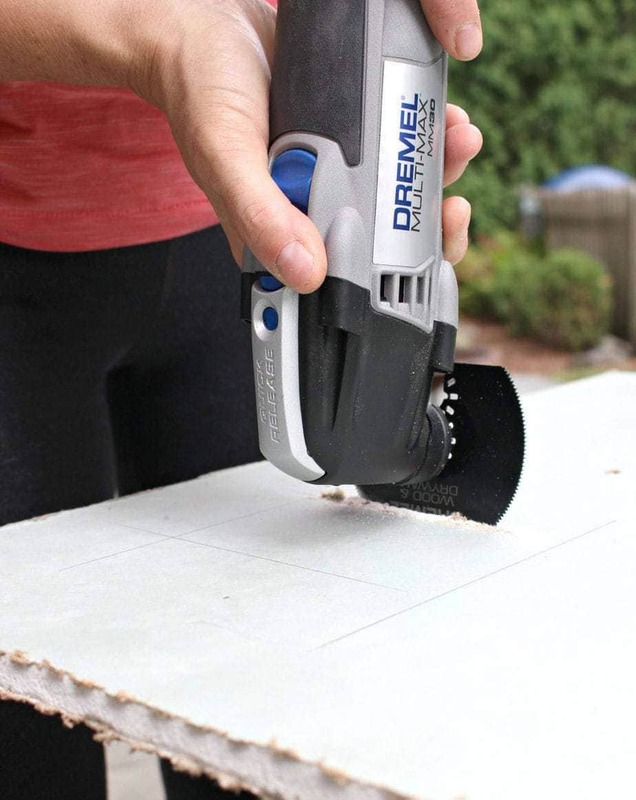 The Dremel Multi-Max oscillating tool combined with the accessory kit will get you through almost any situation, especially those tough to reach and detailed areas. 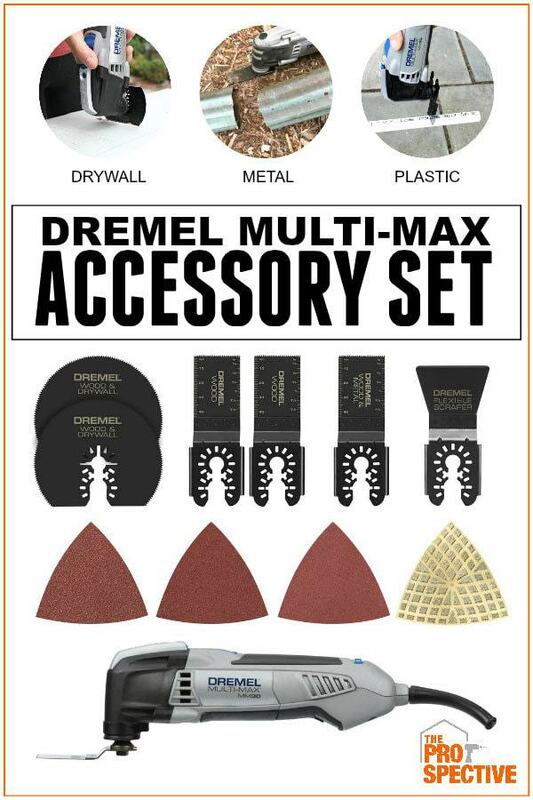 The most versatile tool in your toolbox – meet the Dremel Multi-Max oscillating tool and accessory sets. 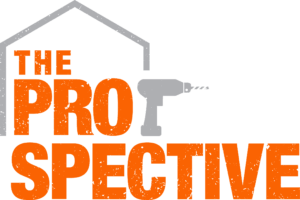 Cut through metal, wood, plastic, drywall and more! 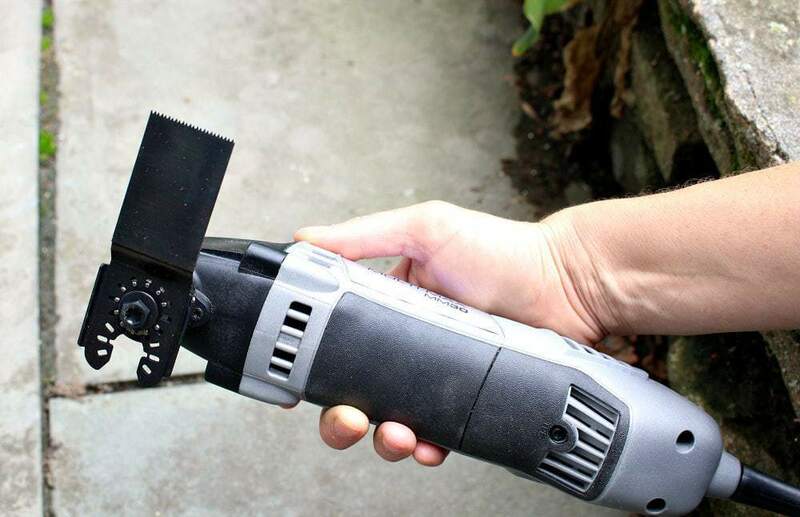 If you want to remove soft materials like caulk, coats of peeling paint or other soft adhesives this will be your go to blade. That stuck on blob of yuck on our basement floor has been bothering me since the day we moved in six years ago. I cannot express the satisfaction I feel now that it’s gone! 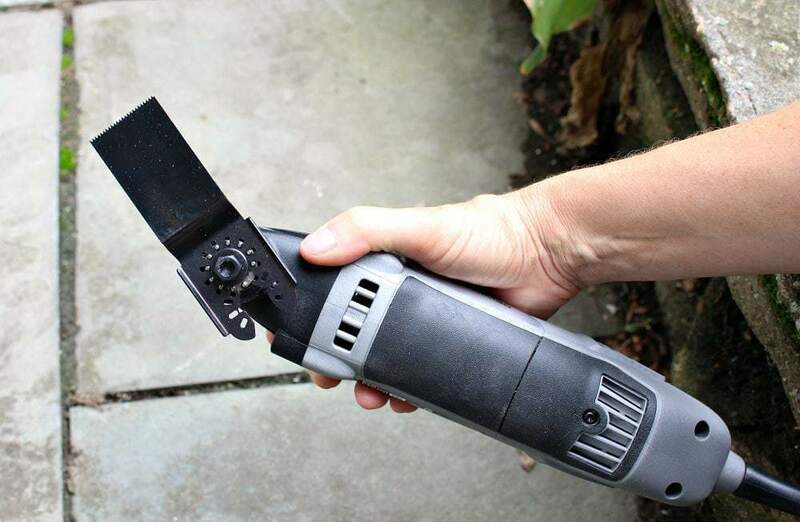 I want to take the flexible scraper blade and scrap all the things! Moving on to another blade in the accessory set and maybe the most commonly used blade – the flush cut. 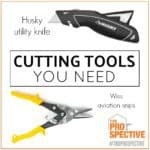 This high-performance blade is great for any straight cut especially those against a flat surface. 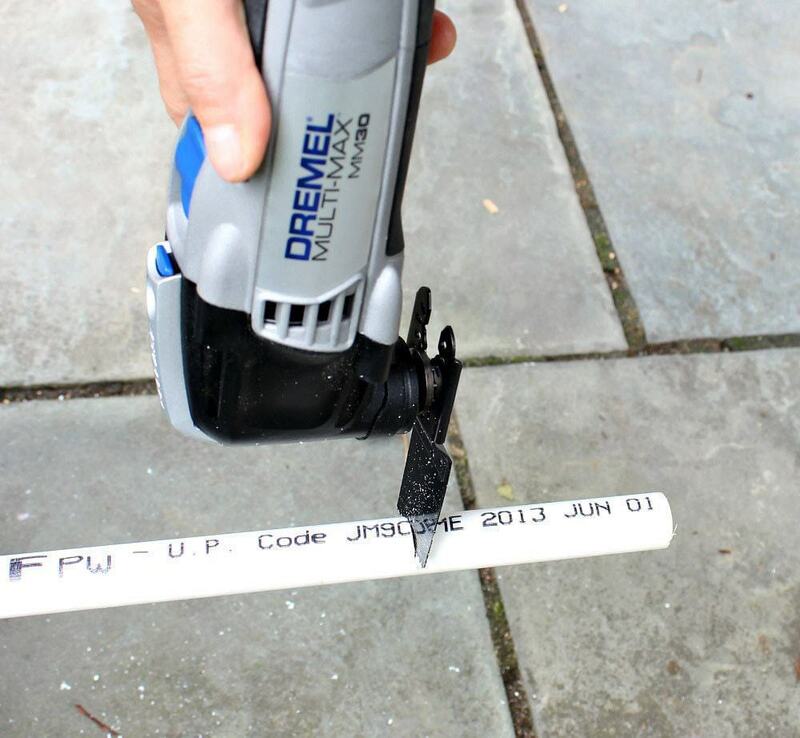 It works for plastic and wood and is especially great for precision applications, including cutting doorjambs and baseboards for flooring installation. 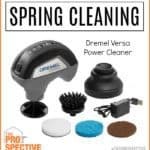 Dremel universal oscillating accessories are the first truly universal oscillating accessories available that require no adapter. 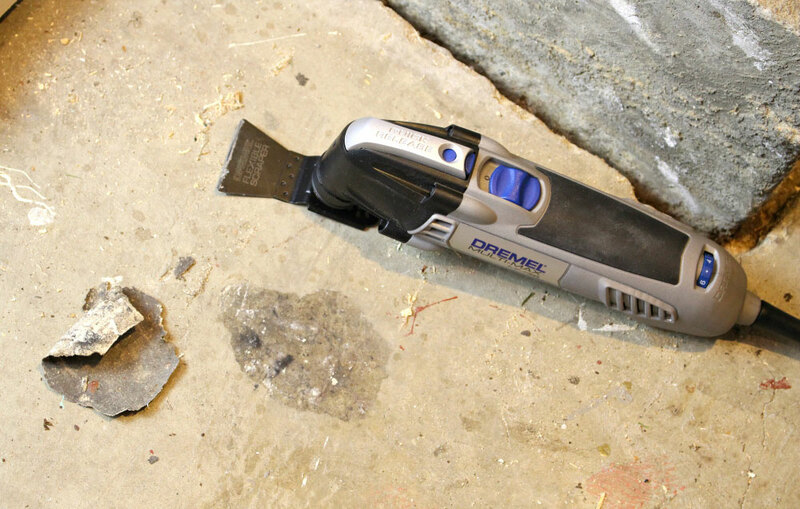 The unique dual interface fits most competitive oscillating tools, including those with a quick change feature. 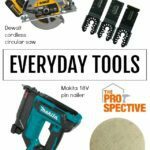 So even if you have another brand of oscillating tool (Rockwell, Makita, Ridgid etc.) 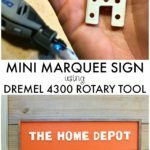 you can still use the Dremel blades. This view from the underside shows the universal fittings on the blade. Also I’ve installed this blade at a 90 degree angle because of the workspace situation. The fittings allow you to install the blade at multiple angles depending on your situation. The blade is a narrow 1 1/4″ which allows you to get into tight spaces and a handy depth ruler on top of the blade indicates how deep you’ve plunged. You can see the hacksaw-like teeth pattern which helps the blade cut into plastic, drywall, wood and soft metal with control and precision. 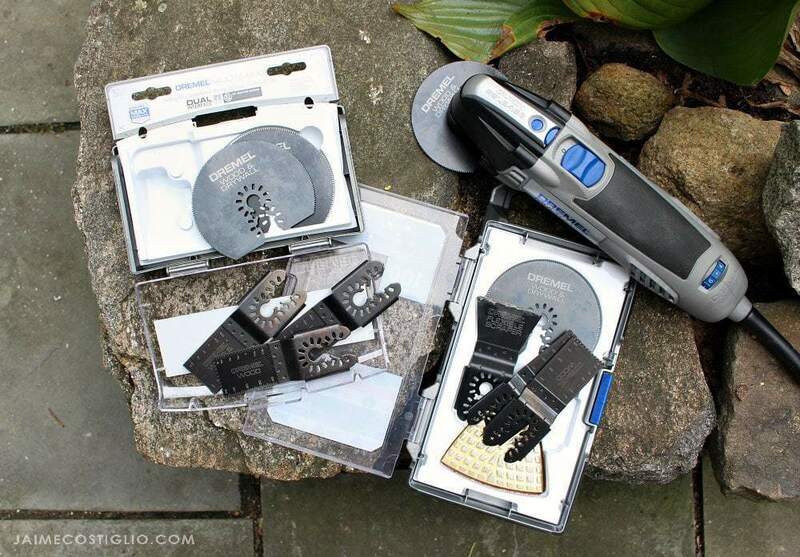 Use these blades to make repairs, remodel and restore lots of projects on your to do list. 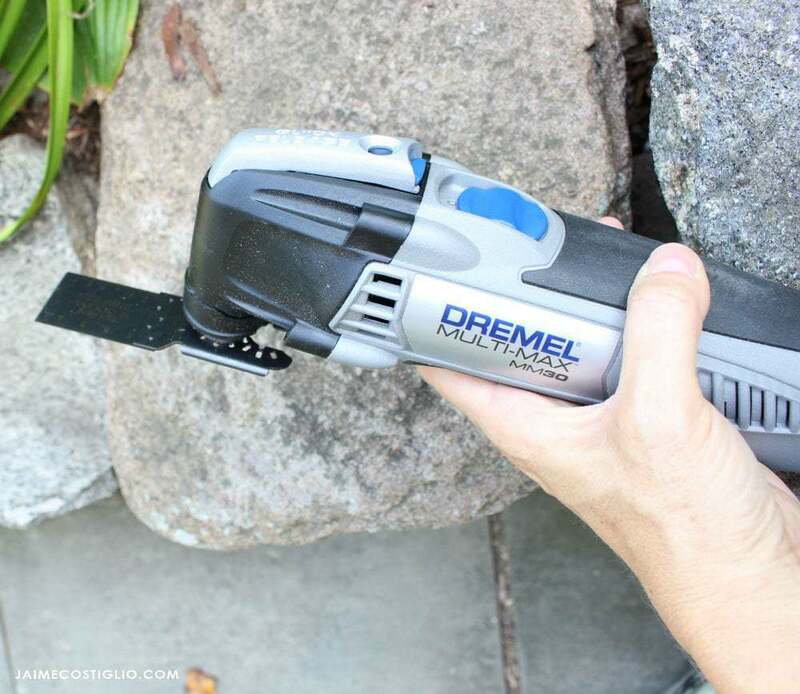 I bought this Dremel multi tool last year when I was replacing our baseboards. I couldn’t have done the job without it. 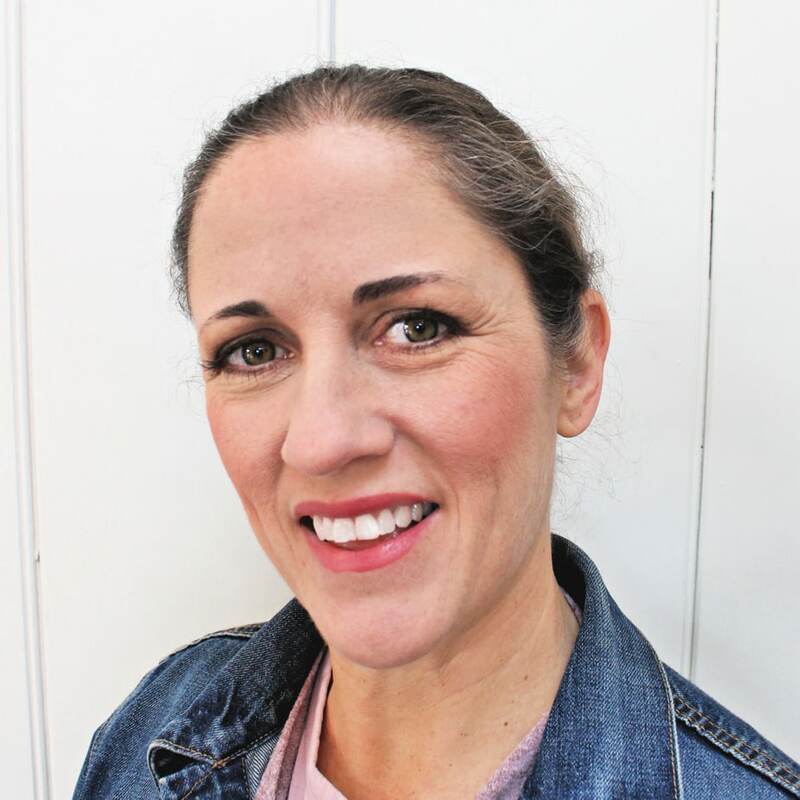 It cut through brad nails, trimmed cabinet and chair rail moulding, sanded old paint and glue off wood floors with a gentle grit and I was it to cut the end of a baseboard to fit up against an uneven stone fireplace. Best $100 I ever spent on a tool! So happy to hear, thank you Mary for sharing your positive feedback. 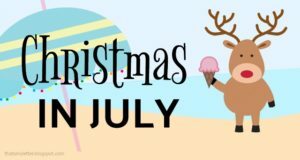 It’s so true the uses are endless and it’s plain fun too!